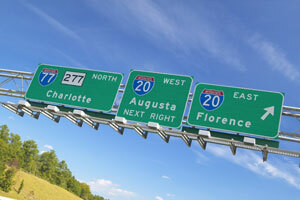 Augusta is home to nearly 200,000 residents and is nicknamed “The Garden City”. There are many effective advertising opportunities throughout the city. One venue available for out-of-home or digital signage advertising is home of the Augusta GreenJackets, Lake Olmstead Stadium. Target your audience with outdoor advertising along the Riverwalk Augusta. The major highways that service the city also offer billboard possibilities. Billboards on I-20 or I-520 would generate high traffic exposure of your business. Zip Codes: 30901, 30903, 30904, 30905, 30906, 30907, 30909, 30910, 30911, 30912, 30913, 30914, 30916, 30917, 30919, 30999.